The Paul Ryan pick for VP has stirred up a pretty fascinating debate, and I thought it was worth highlighting as much of it is thought provoking. This general reaction, echoed by a great number of groups, has sparked some fascinating debate in the tea party/liberty minded community. I’m sorry, but when you look at Paul Ryan’s voting record, it pretty much reads like the reason the tea party movement came into existence in the first place. TARP, Medicare Part D, No Child Left Behind, the auto bailout – unfortunately, the list goes on. I think Corie makes a great point. Organizations should be extremely cautious in how they approach this election in general. Being on a big national ticket does not automatically change who a person is. The dislike of Obama does not bestow sainthood onto anyone who opposes him. Just look at Ryan’s record as highlighted by Politico’s, Andrew Restuccia and Seung Min Kim in their story, Paul Ryan’s voting record: Big-spending conservatism. 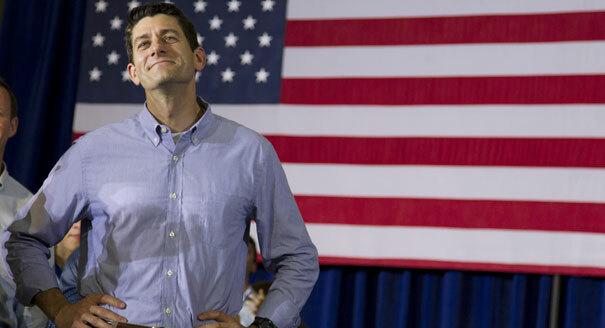 “All in all, Ryan’s congressional voting record reveals a standard, loyal Republican. He has voted at least 90 percent of the time with his party since he came to Capitol Hill in 1999, according to The Washington Post’s votes database. The Politico article rightfully goes on to credit Ryan with pushing the entitlement reform debate, which I think was a politically difficult fight to embrace. I may not even agree with all of his solutions, but he should receive all the credit in the world for pushing this debate as it is America’s biggest problem – at least financially. So this is where the debate moves from philosophy to reality and back again. Knowing full well that Ryan and Romney both have more baggage than Paris Hilton on a trip to Europe – is it the right thing to accept their flaws and vote to get rid of Obama, clearly the most destructive President since Nixon. Summary of this position: a can of corn is preferred to Obama. In knowing their flaws, is it logical to assume they will not change and when considering Obama/Biden vs. Romney/Ryan – is it really a false choice? Will both drive the country off the cliff with the only difference being the speed of the car? Summary of this position: neither is an option that merits support. Either way – it’s interesting to watch the debate play out. My basic take is that we shouldn’t pretend Ryan is something that he isn’t. If you understand the Romney/Ryan records, and still back them – more power to you. I understand that perspective and respect it. However, I don’t think it does any good to be intellectually dishonest with ourselves, and pretend that Romney and Ryan have just become the messengers of freedom and the defenders of individual rights. Let’s be honest and just admit – that’s not who they are. To say otherwise hurts our credibility. In general, I obsess less and less with DC every day, because I now look at the debate through a completely different perspective. Individualism vs. collectivism is THE debate of our time, and for me – it frames all of my political engagement. Collectivist leaning DC will never be the answer to our problems. As Dr. Ron Paul once told me, change will only come from the “states and the people.” He understood that neither he, nor anyone in DC, nor any President could fix our problems. Either good liberty minded people will rise up in the states or they will not. I’m not waiting on a knight in shine armor to ride into DC to save me and my family. Change will come from creating more sovereign states or change will not come at all.